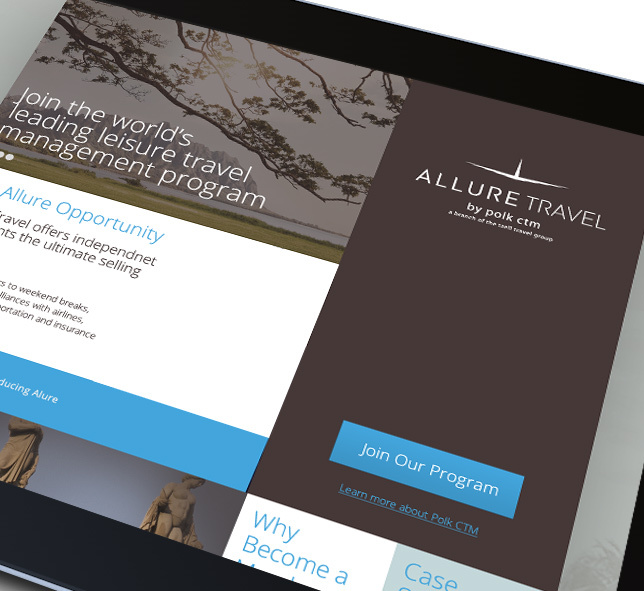 Corporate Travel Management (CTM) engaged enso to help position and launch their luxury travel management brand, Allure Travel. 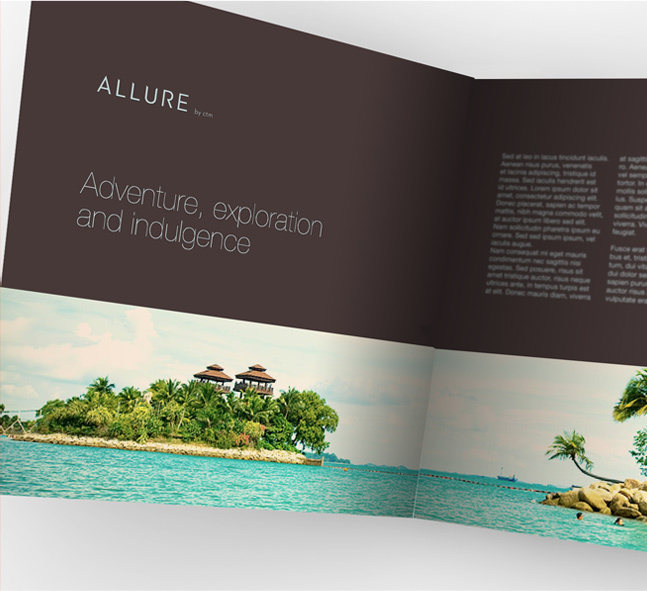 In a collaborative process, enso worked with Allure Travel to develop their brand platform then creatively express this with a brand name and visual identity. 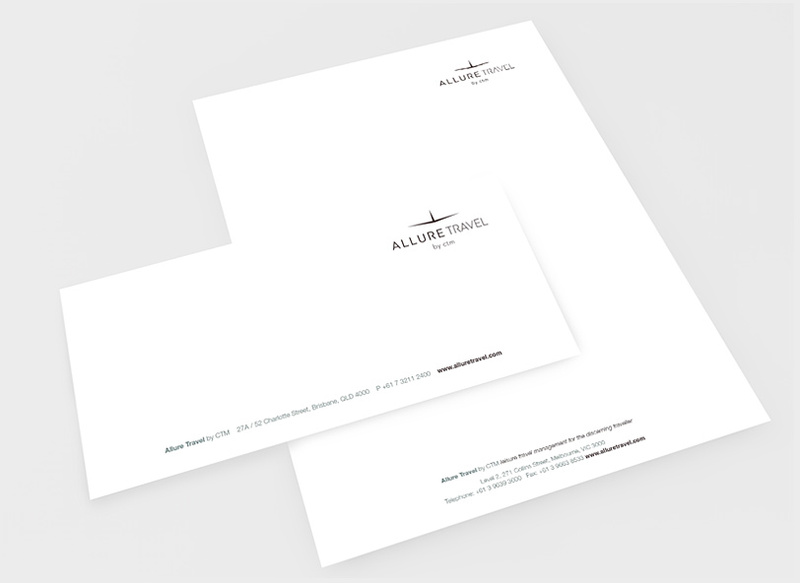 Allure Travel branding features across stationery, brochures and online portals. 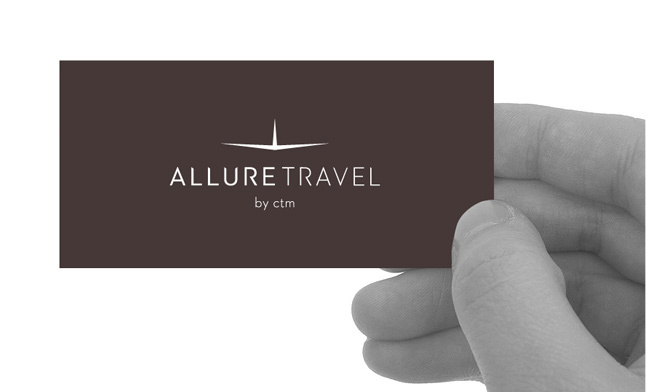 Following CTM’s move into the US market, the Allure Travel brand will be rolled out internationally. The brand features across a range of collateral including stationery. Clean but elegant designs with aspirational photography. A number of online portals and brand touch points are available.